Padres Contra el Cancer (PADRES), a non-profit organization committed to improving the quality of life for Latino children with cancer and their families, will celebrate its 25th Anniversary at this year’s fund-raising gala. The “EL SUENO DE ESPERANZA” gala returns to the historic Hollywood Palladium, with festivities beginning at 6:30 PM, paying tribute to PADRES’ extraordinary children and families, while at the same time raise funds for the lifesaving work of the organization. 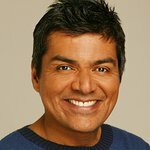 Honorees this year include Comedian/TV Host George Lopez and Enrique Alejo, long-time supporter of PADRES and Owner of Liborio Markets. The “EL SUENO DE ESPERANZA” Award is PADRES’ signature honor named after ESPERANZA (HOPE), the angelic icon who conveys PADRES’ message about HOPE and inspiration. The award recognizes an individual or corporate partner for their humanitarian contributions in support of the cancer community, all the while exemplifying Honesty, Character, Integrity, Respect, Community Commitment and Service to Humanity. For 25 years, PADRES Contra El Cancer has been dedicated to improving the lives of Latino children with cancer and their families. As the only organization of its kind operating within the United States, PADRES brings together children, families, healthcare professionals and community leaders to promote a comprehensive understanding of childhood cancer and other blood disorders as well as effective methods for treatment. Though programs, activities and services are primarily oriented to the Latino community, PADRES serves childhood cancer patients from all races and ethnic origins. No family is turned away. Eva Longoria, star of ABC’s Desperate Housewives and PADRES’ National Spokesperson, returns to serve as Gala Chair. Musical guest for the evening is Gilberto Santa Rosa, renowned Latin Grammy award-winning salsa artist, also known as “El Caballero de la Salsa.” Andy Vargas from Santana will be performing a special tribute to the honorees. This star-studded event, attended by more than 400 celebrities, political officials, press and community leaders, has a goal to help raise awareness about childhood cancer and much needed funds for PADRES bilingual programs and services. Prominent celebrities who support this annual event include Jessica Alba, Billy Bush, Marcia Cross, Daisy Fuentes, Felicity Huffman, Mario Lopez, Ana Ortiz, Ken Paves and many more.